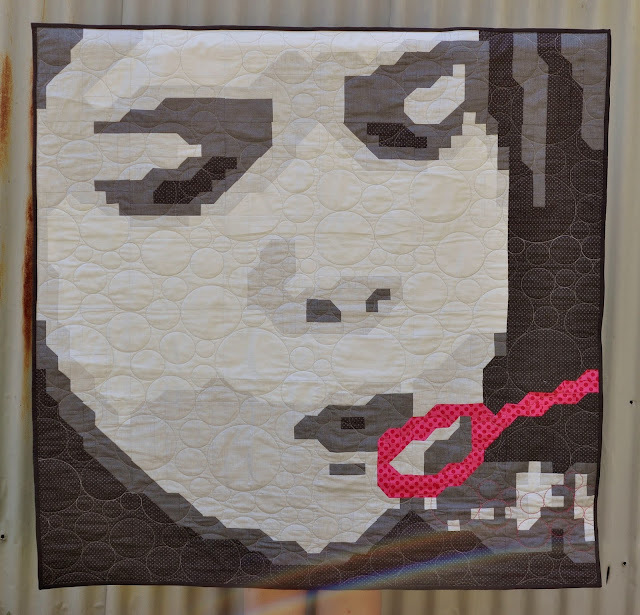 We often get requests from YouPatch customers wanting to make high detail images into small quilts using the pixelated method/style. 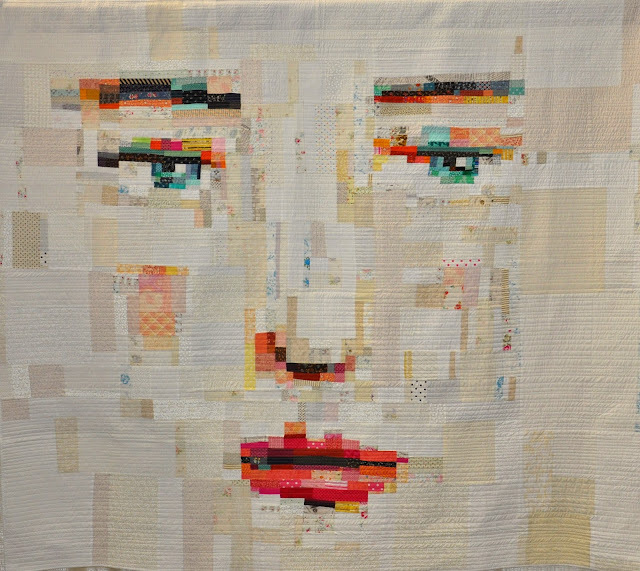 This is tricky because the higher the detail in a small quilt, the smaller the little pieces. It gets to a point where the pieces are simply too small to sew. But they can be stuck!! A-ha!! I came across a method called Fabric Mosaic via FaceBook (as you do) when I befriended a woman called Robyn Taylor who makes small pixelated fabric wall hangings using this method. She also teaches this method. Google her!! After numerous discussions with Robyn and some of Dan's magic software creations, I began a trial piece. 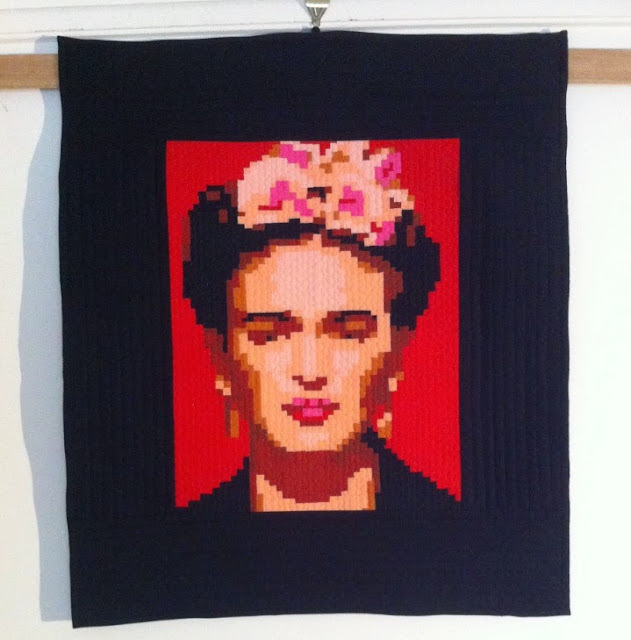 A portrait of the Mexican artist Frida Kahlo. I think I misplaced my blogging mo-jo (is that called blo-jo?) so haven't posted in a couple of months. So much has happened since my last post that it's hard to know where to start. I adore this quilt by Melissa Averinos. I wasn't the only one. It was awarded a Judge's Choice award.